That’s what I’m about to find out. I decided to stick with the “no previous winners, no one who’s returned before” rule. It’s a good one, it allows for a more interesting season, and, at some point, measuring players who have played three, four, or five times against those who have only played once gets uninteresting and unfair. The problem: Judging merely by gameplay doesn’t work. Bad or boring players make it to the end all the time, and while I fully support their right to point at the scoreboard when they face the jury, it doesn’t mean they played an all-star-level game. There’s something to be said for panache. Style points. Being good TV. Survivor is a game, but it’s also a TV show, and entertainment value counts for a lot. Again, though, how do we express this in ones and zeros? My solution was twofold: (1) a tally of appearances in YouTube “Best of Survivor” videos. I entered the search term “Survivor Best Moments” and added up appearances in all the videos that made the first page of that search. And (2) a tally of appearances in the “next time on … Survivor” episode previews. If CBS decided you were important enough to feature as a lure for viewers, who am I to argue? Does this mean I watched every preview at the end of every episode of 29 seasons’ worth of Survivor? Yes it does. Probst narrates my dreams now. Most of them involve him yelling at me to pick it up! The results were … interesting. It’s not at all the group I would have selected if I were just picking favorites. Some of my most pined-for returnees — Lindsey from Africa, Brian from Guatemala, Peih-Gee from China — either didn’t last long enough in the game or made too many wrong votes to score high enough. Still, these are the 20 former Survivors (remember: no winners; no previous returnees) that pure statistics have determined most deserving of a spot on a “second chances” season. Enjoy. Argue. It’s the Internet, you know what to do. Terry’s like Tom Westman from the Palau season, except without the Long Island accent or shark hunting or anything else that made Tom fun. Terry thoroughly dominated the immunity challenges in his season, which is pretty much the only reason he made it to third place, since he was surrounded by players like Cirie and Aras and Shane who wanted him out. Socially, he played the your-friend’s-judgy-dad card a lot, making him hard to really like. He’s eligible for Season 31, he’s 55 now, and he probably still takes the presidential physical fitness test every year, for fun. Woo’s presence so high on the list opens this process up to accusations that coattail-riding has been overvalued. After all, Tony ran a zig-zag pattern all over this season like a prison escapee trying to avoid a searchlight, and Woo just kind of … voted with him. And when Woo had the opportunity to vote Tony out at the final three and take obvious goat Kass to the finals, he didn’t. But the guy won a lot of challenges, he was all over the episode previews, and at the end of the day, he finished second on one of Survivor’s best-received seasons. And who’s to say Woo was so wrongheaded in his assumption that his jury might have found Tony too obnoxious to vote for? Matthew’s another runner-up who was mostly an enhancement vote for a more strategic mind, in this case Rob Cesternino. But Matthew was also weird as hell, just constantly doubling down on crazy-eyed intensity every week. Alliances formed and shifted and double-crossed each other, and Matthew just kept on sharpening that machete. Out of all the players who have ever been on Survivor, Ian is the one I have most wanted to see come back and win the game. He was basically Tom Westman’s right hand all season, letting Tom be the shark-hunting hero while he went about the sometimes dirty business of voting out their allies. That lasted until the end of the game, when Ian made a move against Tom, at which point Tom spent the entirety of an immunity challenge (one of those long endurance ones) laying on the worst disappointed-dad guilt trip you have ever seen. It was bad enough that Ian not only apologized but voluntarily lost the challenge, which he knew meant his certain elimination from the game. Every season since, I’ve hoped for Ian to return, hardened by life and with an unquenchable thirst for revenge against dads. Was Kass good at playing Survivor? I’m honestly asking. She made the game delightfully unpredictable, and she was a lot of fun to watch, but did her “Chaos Kass” style of alliance-hopping count as smart strategy? You could argue it should have taken her to the finals, if Woo had made the smart move and ditched Tony for her, where she would have had a decent jury argument that she’d made more and bigger moves. But if she comes back for Season 31 (she’s eligible, and I’d be shocked if she doesn’t), she’s going to have a hard time convincing anyone to trust her again. You’d think sharing a season with Russell Hantz would have meant there was no oxygen available to maintain normal life functions, much less get any attention on TV, but looking back, Jaison was all over this season, if only as a perpetual “maybe this is the week somebody figures out Russell’s mess and sends him packing” guy. Jaison was a smart player, though, and if he’d have eked out one or two more immunities, he’d have probably won. Dreamz talked about Dreamz a lot. An inspirational figure in his own mind, in reality Dreamz was a decent player whose loose lips sank a lot of alliances’ ships. He made it to the end, though, where he was on the receiving end of a lot of sanctimonious B.S. You know the kind, about playing with integrity. The integrity levels among Survivor jurors are uncommonly high; Captain America could have gone to Fiji and mined enough integrity from the Season 14 jury to forge a second shield. Stephen was a driving force behind a tiny three-person alliance that managed to make it to the very end, somehow besting the strategic genius of Coach in the process. Stephen did everything he needed to do to make it in front of the jury, at which point he received zero votes as J.T. won. All things being equal — and Stephen and J.T. made pretty much all the same moves \8 — people will almost always give a million dollars to a handsome Southern charmer over a brainy city boy, because America is drunk on archetypes and Dukes of Hazzard reruns. In many ways, Twila was a perfect Survivor player. A hard worker, she performed well in team challenges and was willing to opportunistically switch alliances when necessary. She was on the right side of every vote she participated in. She’s a blunt older lady to whom nobody wanted to give a million dollars, making her the perfect woman to sit next to at the end. It’s too bad people have feelings, because Twila easily played the best game in her season. First of all, it’s bunk that Kelly gets no points for best moments, since she’s on the receiving end of the best moment in all of Survivor, as Sue Hawk curses her to forever dwell with the snakes and rats of Pulau Tiga. That’s where we were left to assume Kelly stayed, since she was never asked back for an all-star season despite being the show’s first runner-up, its first immunity beast,9 and possibly losing only because juror Greg Buis asked Kelly and Richard to pick a number between one and 10. OK, here’s where this process might start catching some heat. The one thing NaOnka is known for in Survivor lore is quitting the game in seventh place with mere days remaining. And she had a hidden immunity idol! But she made for gangbusters TV before she left, and it’s easy to forget that she had a strategic mind beyond all the fire-starting (figuratively speaking).10 Just know that if you feel, on principle, that quitters shouldn’t be asked back, the 11th-place woman on this list was Katie Gallagher, who recently celebrated her 10th anniversary of doing absolutely nothing on Survivor: Palau. Probst isn’t shy of saying that Season 7’s “Outcast Tribe” twist, where the first six ousted contestants competed for the chance to reenter the game, was a regrettable misfire. (Weird, because he never mentions how Redemption Island was the exact same thing.) That probably explains why Burton, who fits the young, athletic, Type-A mode that is Probst’s Platonic ideal, has never been asked back. He was a hugely influential player in his season, though. He even took out Rupert, which admittedly seemed like a bigger accomplishment back before we found out Rupert is very bad at the game of Survivor. Marquesas gets a bit of a bum rap, mostly because its winner, Vecepia, didn’t have a very strong narrative. She just kind of weathered enough tribal councils to stay standing at the end, and not even in the fun, combative way that Sandra Diaz-Twine did (twice). As runner-up, Neleh arguably played the stronger strategic game. She was smart enough to flip on her original alliance the second it showed how low she was on its totem pole. And I will go to my grave believing she purposefully psyched Kathy out at the final immunity challenge by telling Kathy that her blouse wasn’t covering her up. Ciera will show up on every Survivor clip reel until the end of time simply for doing the producers a solid and being the only player in two Blood vs. Water seasons to vote out her own loved one. Ciera’s a great choice to come back for Season 31, as she handled the learning curve12 and had really become quite the gamer by the end of her season. Taj’s game score should probably be higher; she just had an odd habit of throwing away votes when she didn’t need to. Otherwise, Taj was a great strategic player, great at building alliances, and preeeetty good at breaking those alliances when needed. She was also among the most purely likable characters the show ever produced, and it is crazy it didn’t include her among the candidates for this coming season. 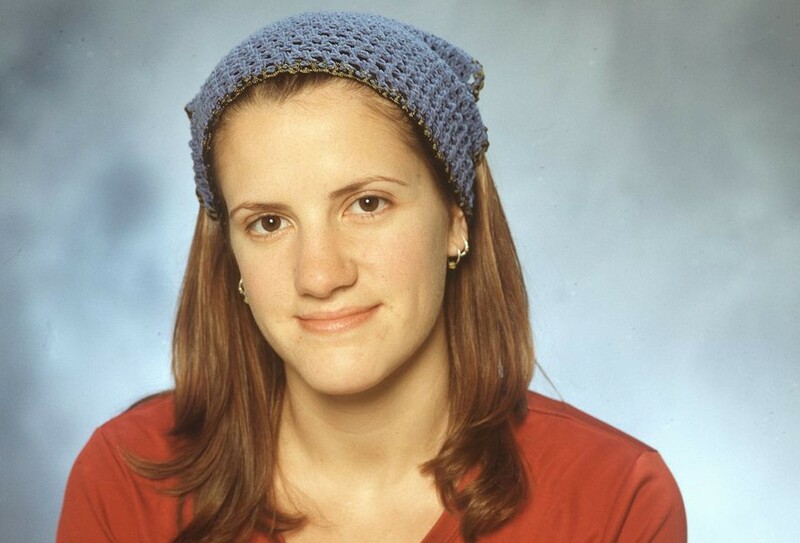 Nobody really liked the One World season, but everybody seems to agree that winner Kim Spradlin played a flawless game. But if Kim had been any less likable, we might well be talking about how winner Chelsea Meissner played a flawless game. Chelsea made all the same moves Kim did, and she kept Kim out front as a more attractive blind-side option, too, which is the really smart play. But when that blind side never happens, you get stuck sitting next to a more outwardly dominant player at the end, and you lose. Chelsea, by the way, was rumored to be among those eligible for the Season 31 vote but cut at the last minute, because like I said, nobody liked One World. Gabon was probably the last season with as many awful and unpleasant personalities as the one that’s currently airing. Which is why it was nice that Crystal was around to roll her eyes at those people and holler at them during voting sessions. A former Olympic athlete, Crystal turned out to be underwhelming as a physical threat, but she had enough moves to wind her way to a sixth-place finish. In real life, Spencer is going to be way more of a lock for Season 31 than he was on this list, where he barely edged out Albert from South Pacific for the 10th and final male slot. Spencer’s biggest problem, score-wise, is that he often wound up either out of the loop or spearheading quixotic attempts to oust Tony when it came to voting. In 12 tribal councils, Spencer was outvoted six times. In Survivor history, only one player has ever cast more wrong votes.13 But Spencer was also a strategic perpetual-motion machine, constantly looking for the angle that might get him ahead. He’ll be brought back to see if he can finally find the right angle. Our erstwhile Blair from The Facts of Life played the game with a bunch of kids who had never seen The Facts of Life, which was probably more of a blessing (albeit an incredibly depressing one) than a curse, considering it kept her from becoming a target for no reason. Lisa was a ton of fun to watch, the rare player whose self-professed morality made her more compelling. She wasn’t sanctimonious, just principled, and you could tell she wanted to play as strategic a game as she possibly could without crossing whatever lines she’d drawn for herself. And she finished second! Maybe that’s as good as you can do without crossing those lines. We won’t find out next year, as Lisa isn’t on the ballot. Men: Terry, Woo, Stephen, Spencer, Shane Powers (Exile Island), Troyzan Robertson (One World), Vytas Baskauskas (Blood vs. Water), Keith Nale (San Juan Del Sur), Brad Culpepper (Blood vs. Water), and Jeremy Collins (San Juan Del Sur). Women: Kass, Kelly, Ciera, Sabrina Thompson (One World), Natalie Tenerelli (Redemption Island), Tasha Fox (Cagayan), Abi-Maria Gomes (Philippines), Peih-Gee Law (China), Kimmi Kappenberg (Australia), and Teresa Cooper (Africa). Joe Reid (@joereid) is a writer living in Brooklyn who is fully aware of the cliché he embodies. This has fueled some speculation that there’s still a plan for an all-winners season in the future, which would, of course, be the television event of our lifetimes. We’ve waited long enough for Richard Hatch vs. Vecepia Towery. MAKE THIS HAPPEN. Though we can’t pull from the current season, because our data is incomplete. Points were also tallied for wins on Redemption Island, the finding of hidden immunity idols, and the successful usage of hidden immunity idols. Or at least the Bradley to his Nate. Huge ups to the Washington Post’s Philip Bump for helping me with the math. One of Probst’s least favorite seasons, despite some great strategy and good characters. But it was a season without any young, athletic dudes who went far. Jeff’s favorite seasons are bro seasons — look it up. Rafe is a supervising producer on Agents of S.H.I.E.L.D. now, so he probably doesn’t need Survivor, but I’m sure if he know that math and statistics determined he was the sixth-best non-winner to never return, he’d be up for it. With the glaring exception that it was Stephen, not J.T., who voted out Coach. Kelly’s five individual challenge wins have only been bested by Terry Deitz and Colby Donaldson-Probst, who each won eight. She now goes by Neleh Dennis Nielson after getting married. Let’s give it up for Eddie from Caramoan, who did it eight times before being put out of his misery.